An intake manifold transfers the mixture of fuel and air from the carburetor to the cylinders. 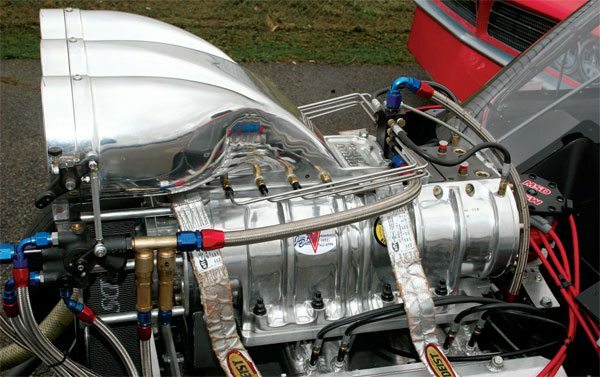 The plenum, or large voluminous area directly under the carburetor, gathers that combustible mixture before it’s distributed to the cylinders through individual runners that connect to the intake ports. It’s tuned to provide maximum cylinder fill in a general RPM range and the design style and shape, and plenum and runners sizing strongly influences it. Engine displacement can also influence it. Larger engines tend to pull the power range downward, so a particular manifold that produces greatest average power from 3,000 to 6,000 rpm on a 400-ci, may work best from 2,500 and 5,500 on a 455-ci. 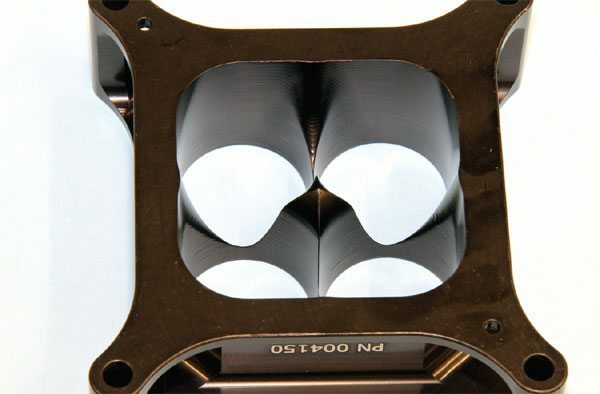 Intake manifolds can be classified into two distinct types, and it’s directly related to plenum style. A dual-plane features a split plenum, with each half branching into four runners. The design allows half the engine to draw from half the carburetor at all times. A dual plane is most commonly associated with a stock manifold because it improves carburetor efficiency, which subsequently improves economy, emissions, and low-speed performance. It does, however, adversely affect peak performance at very high RPM. The induction system of a Pontiac V-8 typically consists of a carburetor and intake manifold. Each is designed to maximize performance in a particular range. 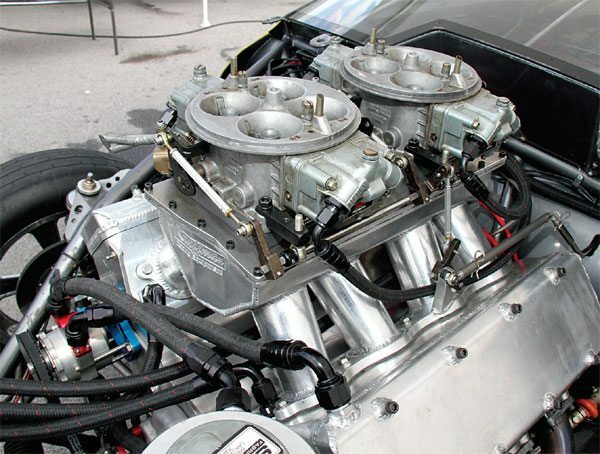 Larger race engines that operate at high speed require a significant volume of fuel and air, and that requires a unique intake manifold with multiple carburetors. A dual-plane manifold splits the plenum in half. To maximize performance, the runners are staggered so the carburetor sees an equal amount of draw at all times, and that requires a top and bottom plane. The design improves air velocity through the manifold and carburetor, which improves engine efficiency at low to moderate speeds. A dual-plane is an excellent choice for a street engine. A single-plane manifold contains a large, open plenum in which all eight runners draw from at all times. The design causes air velocity within the manifold to suffer at low engine speeds, affecting engine effi ciency. Generally speaking, a singleplane manifold is best suited for engines that regularly operate at moderate to high speeds, and spend little time loaded at very low speed. Pontiac used a dual-plane intake manifold constructed of cast iron and a 4-barrel carburetor on many of its passenger car engines in the 1950s and 1960s. The manifold provided excellent performance, but Pontiac used multiple carburetors and specific manifolds for its high-performance engines of the era. The original 4-barrel produced through 1967 is best left for restoration applications. The use of multiple carburetors was banned by General Motors for 1967. Pontiac developed an all-new cast-iron intake manifold for its high-performance engines that model year. It was combined with the new Rochester Quadrajet carburetor to equal the performance of the Tri-Power it replaced. It performed excellently and remained in production through the late 1970s. A single-plane manifold contains a common plenum in which all eight intake runners draw. While it gives the engine greater voluminous area to pull from at high RPM, and can show strong performance gains in higher revving applications, a single-plane tends to degrade idle quality and throttle response in the process, and that impacts engines that are primarily street driven and operate at relatively low speeds. Which intake manifold type is best for a particular engine largely depends upon intended usage and operating range. 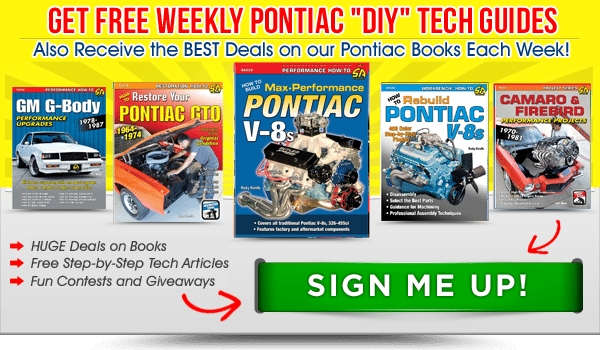 When Pontiac introduced its V-8 in 1955, a 2-barrel carburetor was only available. An optional 4-barrel carburetor and corresponding dual-plane intake was introduced shortly after for performance minded enthusiasts. It continued on through 1966 for all 4-barrel applications and was originally topped by a square-bore-type Carter or Rochester carburetor depending upon the application and model year. Its coolant passages and mounting points were revised for 1965, making it compatible with popular Pontiac cylinder heads commonly used today. Pontiac introduced a new 4-barrel manifold when multiple carburetion went away for 1967. It was a takeoff of the early 1960s Super Duty manifold developed for classes were only a single carburetor was allowed. It features long, smoothly contoured runners to maximize midrange torque and provide strong peak horsepower without compromising low-speed performance. Along with the new Rochester Quadrajet, the combination was used in all 1967 performance applications. The existing 4-barrel manifold and Carter carburetor remained for select standard performance applications, however. 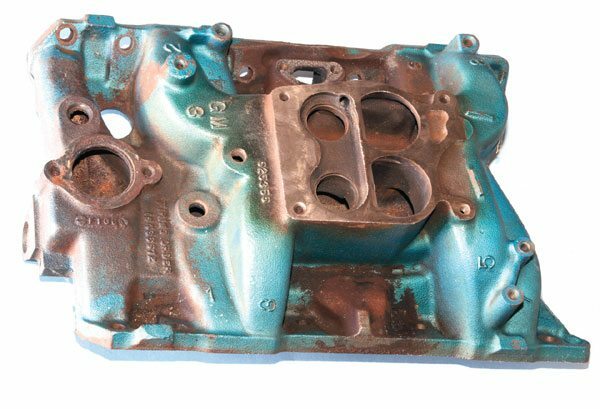 The basic intake manifold casting was modified to accept emissions equipment over the years. An exhaust gas recirculation valve (EGR) was added to its passenger side in 1973. It remained in that position until traditional V-8 production ceased in 1978. Despite the negative perception, EGR didn’t affect the performance potential of the castings. The new manifold proved to be so well suited for myriad applications that it became Pontiac’s only 4-barrel from 1968 forward, and the original design was discontinued. Over the years the casting saw the addition of an exhaust gas recirculation (EGR) system to quell certain emissions, and even physical deviations. It was discontinued after the 1978 model year, but several thousand were stockpiled for use in the optional 400 available 1979 Trans Am. 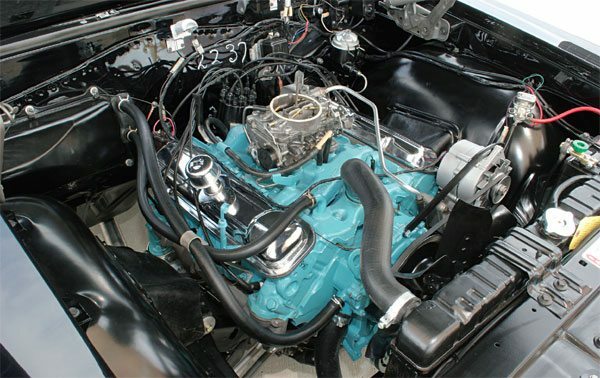 A specific cast-aluminum manifold was used with the 1969-1970 Ram Air IV and 1971–1972 455 H.O. An essential copy of the cast-iron manifold, the runners were raised about .125 inch to match the cylinder head intake ports and improve airflow. To isolate the manifold from excess heat, a separate cast-iron exhaust crossover connects the cylinder heads. Pricing can range from $400 to $1,500 depending upon the casting and if the original exhaust crossover is included. If considering one for your build, the 455 H.O. castings are typically most affordable. 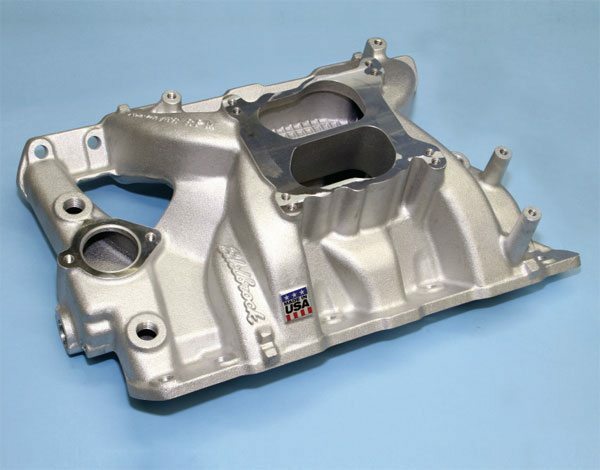 A cast-aluminum intake manifold was developed to complement Pontiac’s highest performance production engines of the late 1960s and early 1970s. Its runners were enlarged to accommodate the increased airflow capacity of the Ram Air IV and 455 H.O. engines it was used with. The aluminum construction improved heat dissipation. A separate cast-iron exhaust crossover (not shown) housed a divorced choke stove. 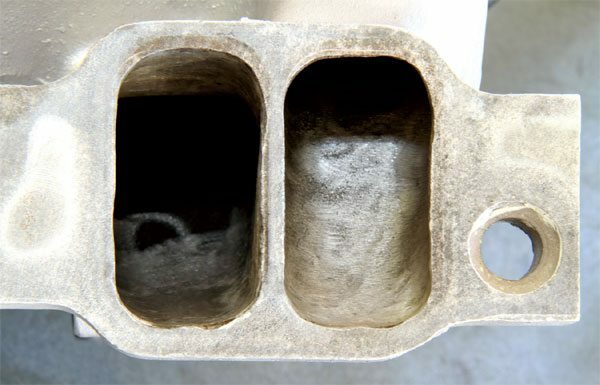 Proper runner dimension and core shift can be common issues with the castaluminum manifolds, particularly the service-dated units sold though Pontiac’s parts departments. Correcting takes little more than an hour with the grinder, and it’s a process that’s should be performed when using any intake manifold in a performance rebuild. 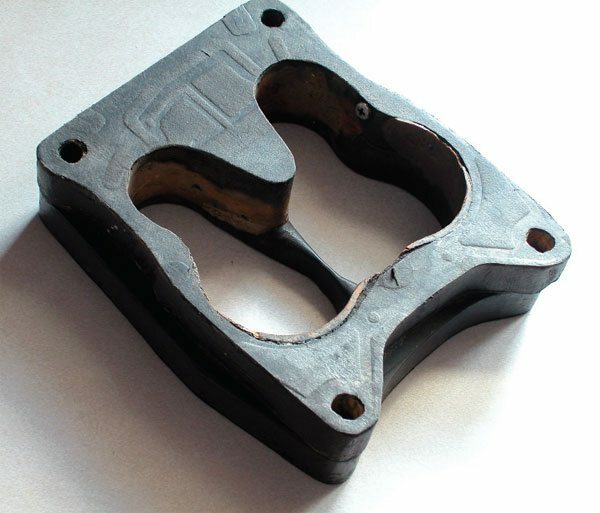 The 1973–1974 SD-455 cast-iron manifold is otherwise externally identical to a standard production casting that year, but its runners taller to improve airflow. It’s easiest identifiable by the large “LS2” cast onto its coolant crossover and/or underside. It rather rare and quite valuable, and an asking price of $2,000 or more isn’t uncommon. Considering that it performs similarly to the cast-aluminum manifold, I suggest leaving these manifolds for purist restorations. The Tri-Power manifold is quite likely Pontiac’s most popular. A regular production option during the 1950s and 1960s, it performed consistently and reliably on the street. The center 2-barrel is used for idling, low-speed acceleration, and lightthrottle cruising while the end carburetors open progressively as demand increases. 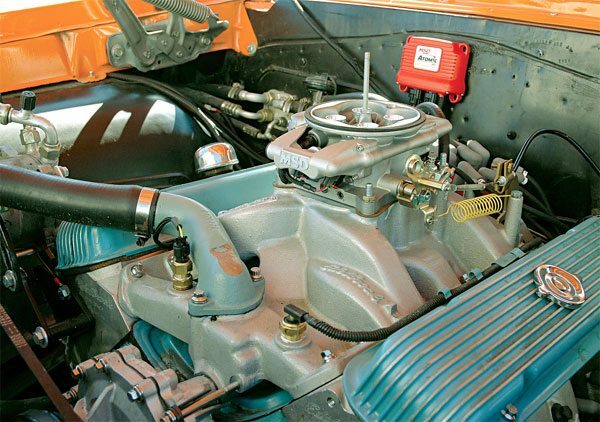 While a dual 4-barrel carburetor package was limited to Pontiac’s competitions engines only, Tri-Power was a popular option that improved the output of its high-performance street engines during the late 1950s and 1960s. Fitted with three Rochester 2-barrel carburetors, the center unit is responsible for idling and low-speed driving. The end carburetors open progressively as engine load increases. A reproduction of Pontiac’s most desirable Tri-Power intake manifold has been on the aftermarket for a few years. It’s a cast-aluminum copy of the 1966 unit that accepts all original equipment and is compatible with popular Pontiac cylinder heads. While it flows as well as an original in as-cast form, the aluminum construction allows for easy porting, which improves airflow capacity. Most Tri-Power manifolds were constructed of cast iron. The 1965 and 1966 units are compatible with the original and aftermarket Pontiac cylinder heads commonly used today. 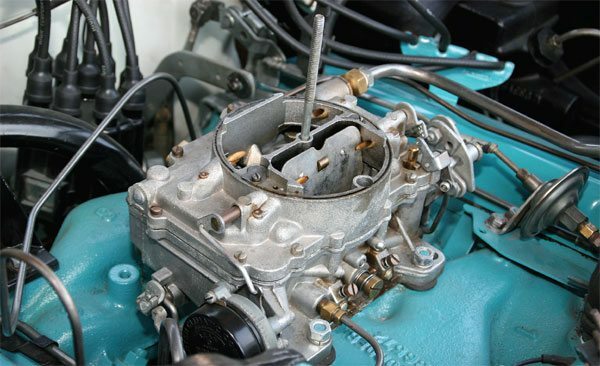 The center 2-barrel carburetor is larger on the 1966 manifold, which increases its desirability and can improve performance, particularly with larger engines. Depending upon condition, a bare early-vintage manifold can bring $100 or more. A 1965 manifold generally cost a few hundred dollars while the 1966 units can bring several hundred. Expect the 2-barrel carburetor trio and associated linkages and hardware to add several hundred dollars to that cost. A cast-aluminum reproduction of the original R/A IV and 455 H.O. manifolds is available from a number of sources. I haven’t been impressed with the quality for performance use, the machining process leaves behind many sharp edges internally and plenum volume is reduced. A significant amount of grinding is required to achieve the flow capacity of an original. When considering the amount of time and money invested in buying and modifying a reproduction, it may negate the cost saving compared to buying an original, which might only require minor cleanup. 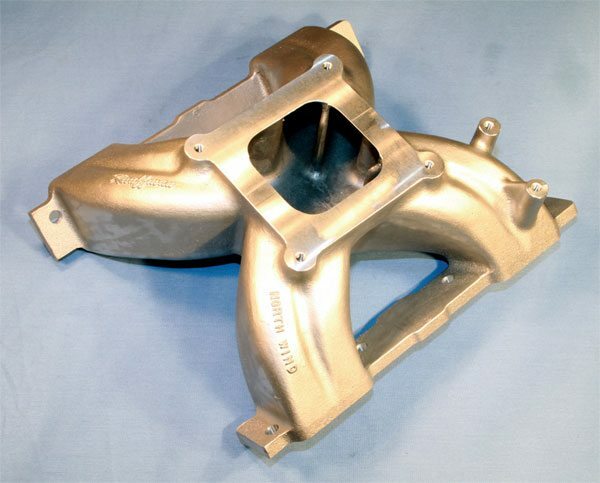 Any 1968–1972 Pontiac cast-iron intake manifold provides excellent performance in as-cast form. They can be purchased relatively cheaply and provide sufficient hood clearance with any Pontiac chassis. Castings from 1972 are most desirable, since its exhaust crossover is compatible with those on Pontiac cylinder heads produced during the late 1970s. 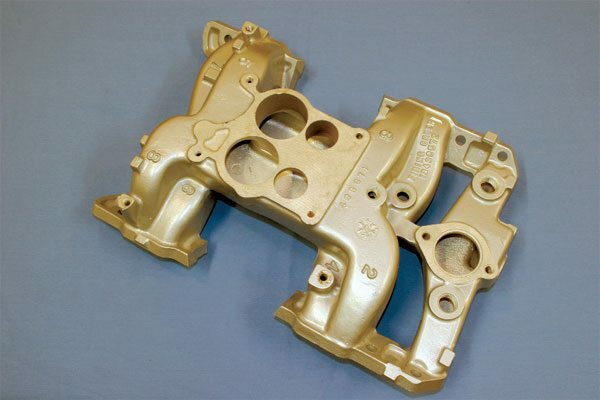 A cast-aluminum version of the 1966 Tri-Power manifold was produced in recent years. It’s a near-exact copy of the original and accepts all corresponding factory accessories and hardware. The quality is generally very good and it’s available from a number of sources. If you’re considering a Tri-Power manifold for your build, I suggest using this piece. Ames Performance Engineering and Performance Years are two companies presently stocking new examples. Expect to spend around $400 for the bare manifold. Any 1968–1972 cast-iron 4-barrel makes an excellent performance piece for Pontiacs operating up to 5,500 rpm or so. Just be sure the exhaust crossover passage is compatible with your particular cylinder heads. Prices generally range from 50 to $100. The 1973–1974 manifold uses an EGR valve and contains a large passage beneath the exhaust crossover to feed it. Beyond being 5 pounds heavier, it performs as well as its predecessor and can often be found for less than $50. The EGR system became an integral part of the 4-barrel manifold for 1975, and the secondary openings gained a pronounced “D” shaped appearance because of it. Despite the inhibiting appearance, it doesn’t noticeably affect performance, but the negative perception makes such manifolds undesirable. They can oftentimes be purchased for $25 or less! You probably noticed that I haven’t mentioned the 1967 manifold, yet that‘s the year the new casting debuted. Its carburetor flange contains an exhaust passage intended to improve carburetor operation a feature eliminated for 1968. The passage can be problematic if the appropriate carburetor gasket isn’t used. I recommend plugging the holes and welding the corners to eliminate potential flange leaks. Since it performs identically to the 1968–1972 piece, I don’t see spending any money or effort modifying a 1967 manifold unless it’s required for a numbers-matching application. A few years back I compared the airflow capacity of several factory manifolds using a professional flow bench to determine which is best in stock form. Since a manifold and cylinder head work in conjunction, I measured the airflow effects an intake manifold had upon it cylinder head that otherwise flowed about 250 cfm. It could provide the flow potential of a particular manifold, which can be used to predict how it might affect performance. Not surprisingly, 1969–1972 the high performance cast-aluminum and 1973– 1974 SD-455 cast-iron manifolds affected cylinder head airflow the least, flowing about 90 percent of the bare head. I found that all 1967–1978 standard production intake manifolds flowed similarly, regardless of flange shape or appearance. That included late-1970s casting with “D” shaped secondary bores. 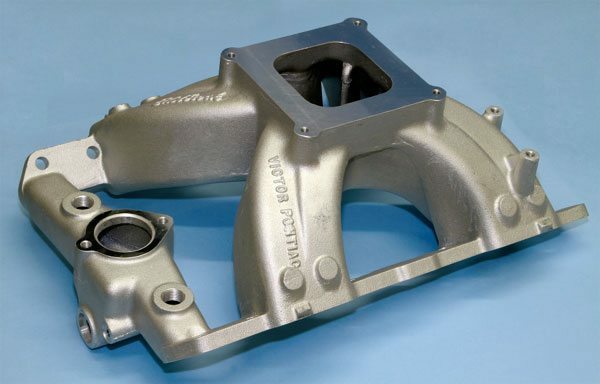 Total airflow of the standard performance castings averaged to more than 88 percent. Smog-era manifolds are quite undesirable from a performance perspective, but don’t discount those from the late 1970s if you’re building on a budget or if class rules require it. An EGR valve was added in 1973 and the carburetor flange was modified in 1975, and the secondary bores gained a distinct “D” shape, but neither greatly affected flow capacity. I measured the airflow capacity of many Pontiac intake manifolds on my flow bench. I used a cylinder head to establish a baseline figure and re-measured airflow with an intake manifold connected to it. 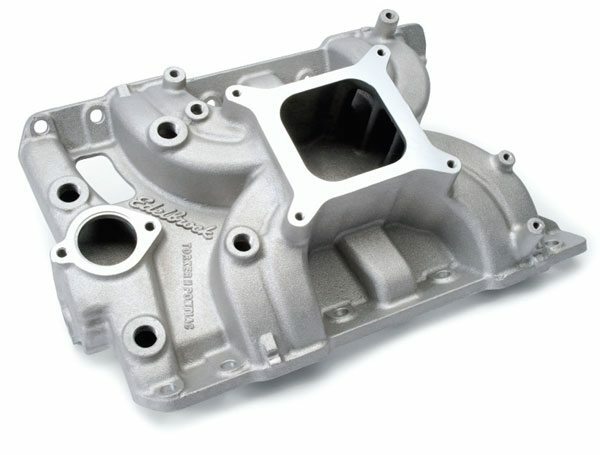 In as-cast form, the high-performance aluminum manifold contained the greatest airflow capacity. The standard cast-iron manifold flowed slightly less. Using a cutting bit and high-speed grinder, I modified the runners of a few different Pontiac manifolds, enlarging them to full gasket dimensions in an attempt to improve flow capacity. A follow up session on the flow bench revealed definite improvements. The cast-iron unit showed the greatest gain, rivaling the airflow of the cast-aluminum unit. I then modified certain castings in an attempt to maximize airflow. 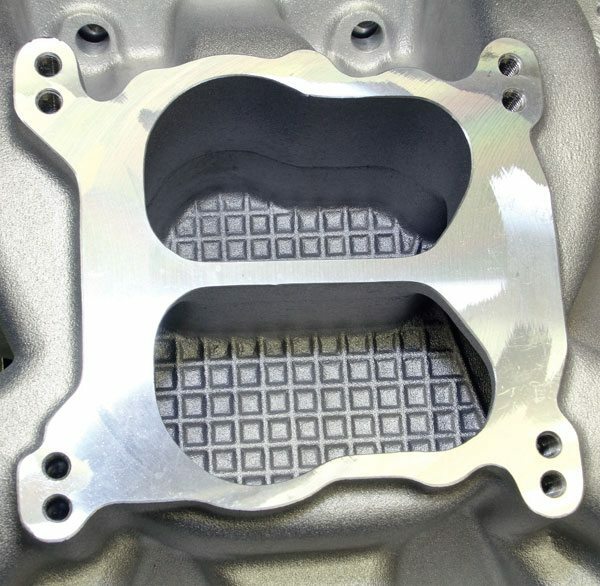 Using various grinding bits and sanding rolls, I enlarged the intake runners to Ram Air gasket dimensions and maintained cross-section area toward the plenum to prevent any flow-inhibiting restrictions within the runner. 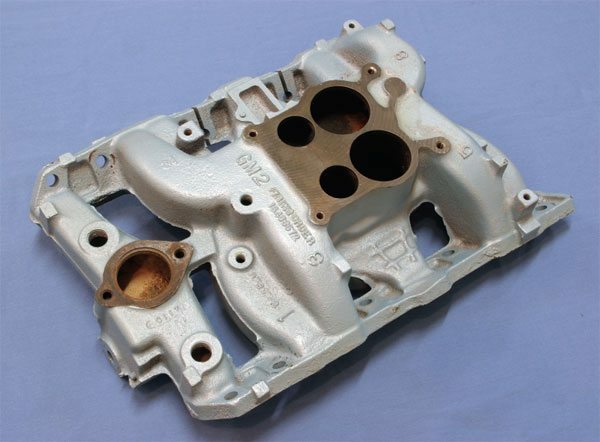 I was able to improve the cast-aluminum manifold slightly to 92 percent, but the modification significantly improved the flow capacity of the standard iron casting, which totaled nearly 92 percent. The result proved that after proper modification, any Pontiac 4-barrel manifold is a capable performer. If you’d rather forego the time and effort spent porting your own manifold, SD Performance has an excellent solution. It can CNC machine the runners and plenum area of any original iron or aluminum casting, improving airflow. With pricing that starts at $175, the cost is quite reasonable, and there are a few options for even greater potential. There’s some debate to whether Tri- Power actually performed better than a 4-barrel in certain original applications. Pontiac actually installed a small baffle into some 4-barrel carburetors to limit airflow, giving Tri-Power a performance edge. I won’t argue which is better, but am confident in saying that the Tri-Power manifold responds similarly to porting. If you wish to use Tri-Power on your engine and casting numbers aren’t important, I strongly recommend the aluminum reproduction. It can make the porting process much easier than modifying an iron original. 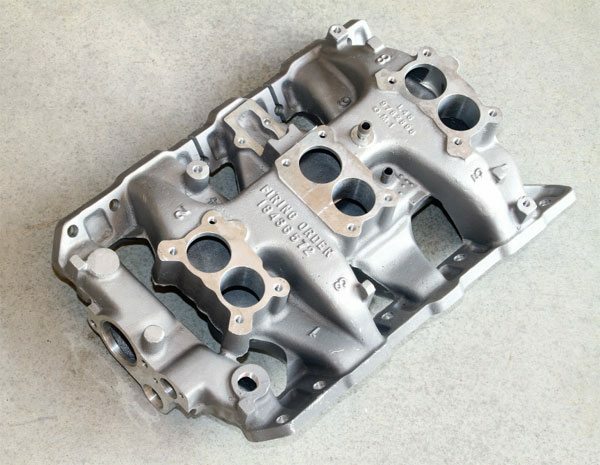 There’s a wide variety of castaluminum Pontiac V-8 intake manifolds available on the aftermarket. Generally speaking, they’re designed to improve the output of modified Pontiacs, particularly at high engine speeds. 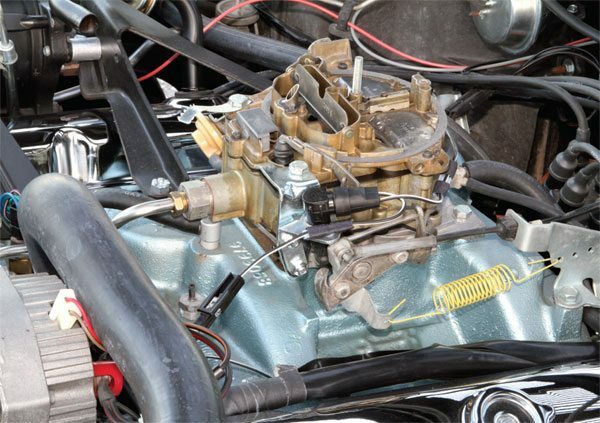 While those accepting multiple carburetors were once rather common and certain examples are still available, single 4-barrel examples are most popular today. A few aftermarket manifolds that are no longer in production are still popularly discussed on enthusiast web forums. Those include the Warrior, Edelbrock P4B and original Torker, and Holley Street Dominator. While still offering excellent performance, used examples can be found with some hunting. This book, however, only covers the popular aftermarket manifolds that are currently in production. Edelbrock has been producing aftermarket Pontiac intake manifolds since the 1950s. Its stock-replacement Performer is a 50-state-legal dual plane that’s compatible with most factory equipment and accepts both spread-bore and square-bore carburetors. Constructed of cast-aluminum to reduce weight, two specific variants are available—one with EGR for applications where it’s required, and another without EGR. Pricing starts at less than $250. The Performer RPM from Edelbrock is a high-performance dual-plane that provides excellent throttle response and low-speed street manners while allowing for excellent engine horsepower. It’s much taller than a stock manifold and that can be an issue in certain applications, but it’s the best aftermarket dual-plane ever produced for the Pontiac V-8. The Edelbrock Victor is a max-performance single-plane designed to promote maximum high-RPM horsepower. Its plenum and runners contain a significant amount of material that allows for port matching to a particular cylinder head. It’s significantly taller than stock and requires some modification to the stock hoodline, but it’s an excellent manifold for race engines with limited street use. The Northwind manifold from KRE has a large plenum and runners, but its carburetor flange is only slightly taller than stock. It provides excellent performance without significant hood clearance issues, and plenty of room for porting. It’s another excellent choice for competition engines. Certain cylinder heads have an intake port arrangement that requires a specific intake manifold design. 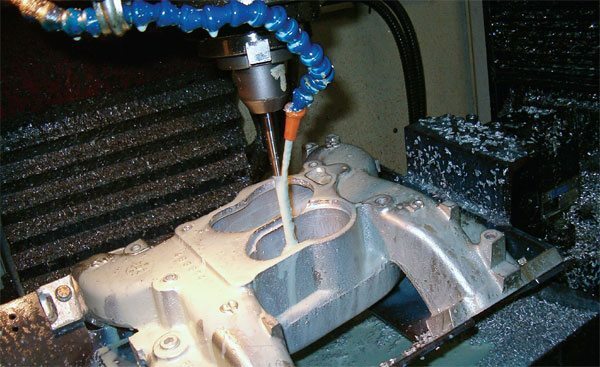 Some manufacturers offer matching cast-aluminum intake manifolds, but others like this unit from KRE (for its Warp-6 heads), must be custom fabricated for the exact application. As long as hood clearance isn’t a concern, the possibilities are limitless, including one or more carburetors. In as-cast form, the Performer’s runners are rather small. It’s intended to maximize throttle response when used with smaller engines, but that can limit peak horsepower with larger engines producing more than about 400 hp. A significant airflow increase is possible by enlarging the runners to Ram Air gasket specifications, and while it’s a modification I recommend when using the Performer in any high-performance engine, Edelbrock’s Performer RPM may be a better choice in those instances. The Performer RPM is a high performance dual-plane that features a large plenum and very long, smoothly contoured runners. It provides an excellent balance of throttle response, lowspeed street manners, and top end charge. 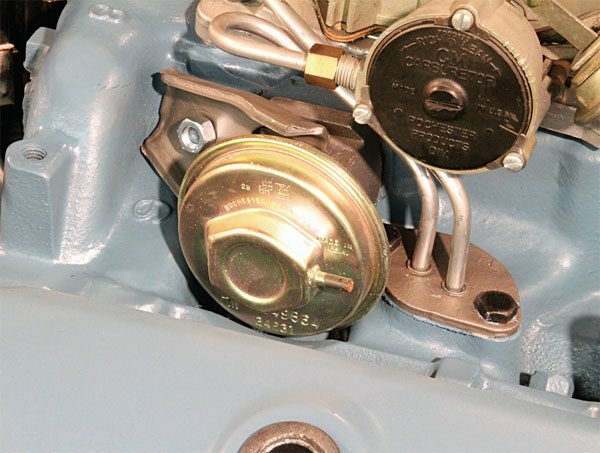 The Performer RPM’s carburetor mounting flange, which accepts both spread- and square-bore types is positioned about 1.25 inches higher than stock, and that can present hood clearance issues with certain Pontiac models. With a price starting at less than $250, I consider the Performer RPM among the best aftermarket intake choices available for street/strip applications today. Edelbrock’s original Torker was introduced in the mid 1970s as a high performance single-plane compatible with the stock Quadrajet. Edelbrock replaced it with the redesigned Torker II in the late 1980s. The Torker II’s carburetor flange is raised nearly .50 inch over stock. Its smoothly shaped runners connect to a moderately-sized plenum, which allows dual-plane-type throttle response and street manners at low speed, yet strong peak horsepower to nearly 6,000 rpm on larger engines. The Torker II only accepts a square-bore carburetor. It’s an excellent manifold and sells for less than $250. Pacific Performance Racing (PPR) introduced its single-plane Tomahawk a few years back. It’s essentially a modern interpretation of Holley’s Street Dominator, but with internal modifications to improve as-cast airflow. It’s an excellent performer for engines operating up to 6,000 rpm or slightly more. 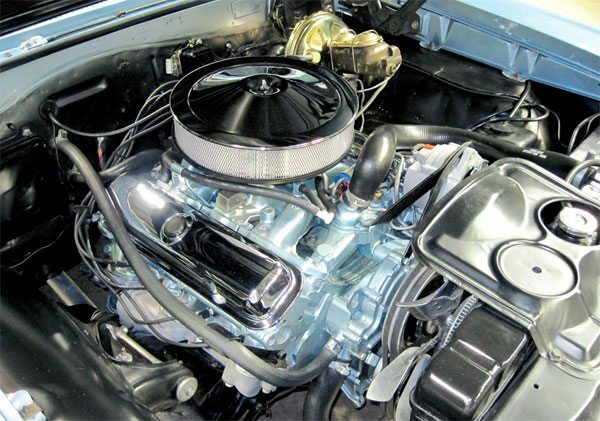 Its low-rise design and carburetor flange that accepts spread- and square-bore carburetors make it a popular option with second-generation Trans Am owners for its Shaker compatibility. Available from many vendors including PPR, pricing starts at about $200. The Edelbrock Victor is a race-only manifold that can sometimes be used on the street. The high-rise single-plane was developed using input from professional Pontiac engine builders. It’s often considered the best max-performance manifold available today. Its large plenum and runners contain plenty of material for custom porting so it can be tailored to the exact application. Two versions are available: one that accepts a typical squarebore carburetor and a one for use with a larger Dominator-type carburetor. Expect to spend at least $350 for either model. The Northwind from KRE is another high-performance single-plane that’s proven to be an excellent choice for max-performance applications. Its rather large plenum and runner sizes provides Victor-like performance, but its carburetor flange is lowered by more than an inch, which allows for greater adaptability to Pontiac models where hood clearance issues might otherwise exist. Available from many vendors including KRE, pricing starts at about $300. The Hurricane and Crosswind from Professional Products are basically copies of Pontiac intake manifolds previously mentioned. I don’t have any direct experience with their quality or performance level, however. There are a host of specialty manifolds specifically designed for use with certain aftermarket cylinder heads too. Those include the BOP, Tiger, Gutsram, CV-1, and Ram Air V units. While some may be compatible with traditional Pontiac cylinder heads, it’s best to discuss compatibility with a Pontiac engine building specialist. Some companies can even produce a custom unit tailored to your application with single or multiple carburetors. A carburetor atomizes fuel and mixes it with air flowing through it. It constantly varies the air/fuel mixture to produce maximum possible engine performance in all operating conditions. 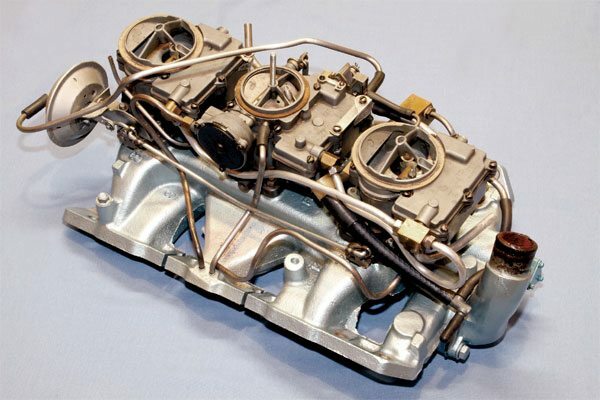 Carter and Rochester regularly designed OE-spec 2- and 4-barrel carburetors for Pontiac’s production applications. Rochester carburetors tend to be more popular. The model 2G 2-barrel was commonly used with the Tri-Power manifold. The Quadrajet 4-barrel introduced during the mid 1960s was first used by Pontiac for its V-8 in 1967. Few companies support the 2-barrel as well as The Carburetor Shop or Mike’s Tri-Powers. I recommend either if needing quality replacement components for Tri-Power carburetors. The Quadrajet uses small primary barrels to maximize efficiency and street manners during normal operation, and large secondary barrels to fulfill the airflow requirements for peak, full-throttle performance. The throttle bore size and spacing differences lend the term “spread bore.” Pontiac used the Quadrajet on its V-8s ranging from 301 to 455 ci. The Pontiac model 4MV used through 1974 generally offers a maximum airflow capacity of 750 cfm. There are, however, specialty units originally designed for the 1971 455 H.O. and 1973–1974 SD-455 that flow 800 cfm or more. The model M4MV debuted in 1975 and it contains an adjustable partthrottle (APT) feature that allows full mixture adjustment for optimal partthrottle operation. The M4MV used by Pontiac is capable of flowing more than 800 cfm with proper modification. Pontiac commonly used the Carter 4-barrel during the 1960s. It was a decent performer but the lack of high-performance components and tech support limits its use today. While suitable for restoration applications, I don’t recommend it for performance builds. There are other suitable options that perform as well or better. A spread-bore carburetor such as the Quadrajet has a different mounting bolt pattern than a square-bore type like the Holley. 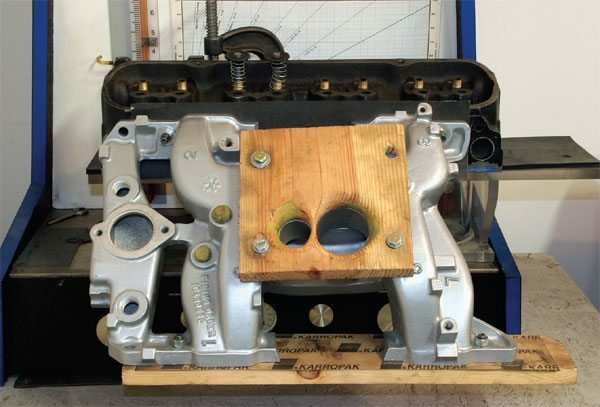 Some aftermarket intake manifolds have a carburetor flange with two-bolt patterns that accepts either carburetor type, increasing the number of carburetors you can use. Most high performance aftermarket manifolds are designed to accept square-bore carburetors only, however. Check with the manifold manufacturer to determine if the unit you are considering is compatible with the carburetor you plan to use. The Rochester Quadrajet was introduced during the mid 1960s and it was first used by Pontiac on its V-8 in 1967. It’s small primary barrels and larger secondary barrels provide an excellent balance of throttle response fuel economy, and strong full-throttle performance. It’s quite popular with Pontiac hobbyists and those from the mid 1970s make excellent performance units when properly modified and can be purchased reasonably. Holley has been producing carburetors for decades. Its 4150-style 4-barrel is likely the most popular high-performance carburetor in the aftermarket. The new Ultra HP–series 4150 4-barrel contains many new design features and is extremely adjustable, which allows owners and tuners to achieve maximum possible performance in all operating conditions. The Quadrajet is quite versatile, making it an excellent choice for high-performance rebuilds. Its main drawback is its rather small fl oat bowl, which can be difficult to keep full without fuel delivery modifications. Cliff’s High Performance supports the Quadrajet, offering quality stock-replacement and high-performance components. 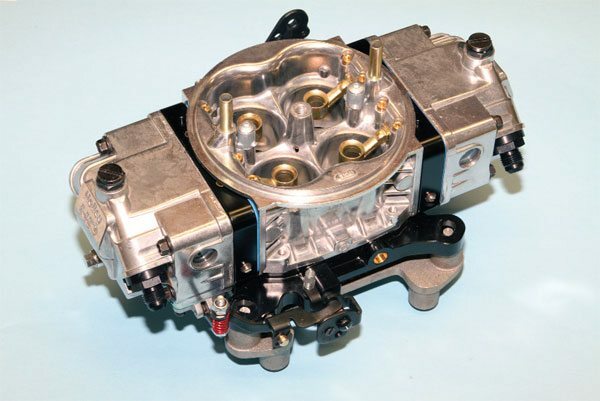 If you’re considering a Quadrajet for your build, I recommend purchasing How to Rebuild and Modify Rochester Quadrajet Carburetors by Cliff Ruggles. 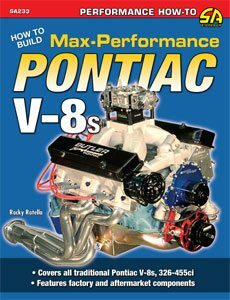 It’s an excellent resource with detailed rebuild and modification instructions for use up to 500 hp or more. 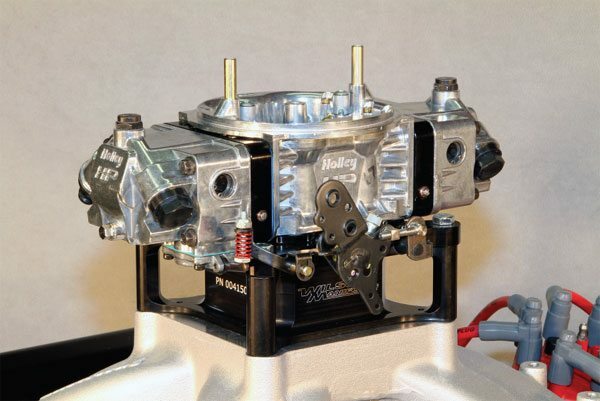 The Holley 4-barrel is likely the most popular aftermarket carburetor for engines producing 400 hp or more. Its dual float bowls contain the necessary volume to feed a high-horsepower engine for the entire quarter-mile, and its four equally sized barrels, which subsequently lends to its “square bore” description, also provide consistent fuel delivery at each corner. The 4150-series version flows as much as 950 cfm and is ideal for street/strip combinations. The 4500-series Dominator delivers as much as 1,250 cfm and is a popular choice for large-cube race engines. The HP-series 4150 and 4500 carburetors remain very popular. Available directly from Holley or popular mail-order suppliers, expect to spend $600 to $900 for a 4150 unit, and $700 to $1,000 for a 4500 unit depending upon the model. Several carburetor specialists can customize a Holley by tailoring its fuel curve to match the requirements of your engine for extra cost. The Holley Ultra HP line offers the greatest adjustability to attain maximum possible performance on your own. The Ultra HP units generally sell for about $100 more than a comparable HP casting. A potential performance increase is possible any time the carburetor is moved away from the plenum floor. A spacer allows the airflow exiting the carburetor to transition smoother into the runners while simultaneously adding plenum or carburetor venturi volume, depending upon the type. It can also insulate the carburetor from intake manifold heat. Two types of carburetor spacers are available. 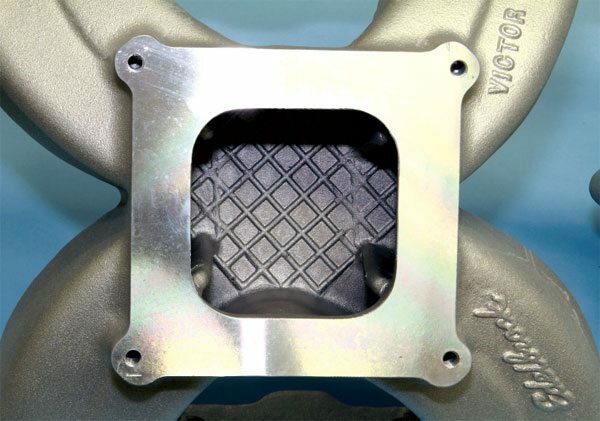 An open-center spacer is best suited for a single-plane intake manifold as it adds plenum volume, giving the engine greater area to draw from, potentially adding several horsepower at higher RPM. Divided spacers are compatible with single- and dual-plane manifolds and generally contain four separate holes that effectively lengthen the carburetor bores. That can improve nozzle signal and carburetor efficiency, potentially adding horsepower and torque at low to moderate RPM, also pulling the power band downward slightly. Carburetor spacers improve performance by lengthening the carburetor venturi or increasing plenum volume. Most Pontiacs show favorable results with a spacer as thin as 1/2 inch, but units measuring 1 to 2 inches generally provide maximum possible gain. 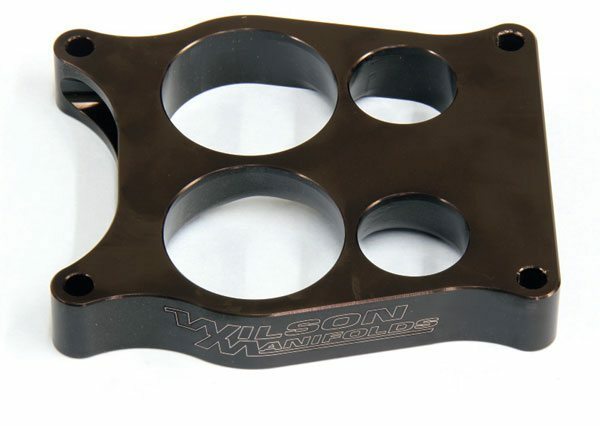 Wilson Manifolds produces some of the best carburetor spacers on the market today. In addition to open center, square-bore units, Wilson also offers carburetor spacers that are fully divided, containing four equally sized holes. Though traditional straight bore spacers are available, the divider of Wilson’s tapered-bore spacers smooth the transition from the carburetor into the plenum. It’s an excellent design that’s capable of providing a slight performance boost over the traditional design. For those running a Quadrajet, Wilson offers an excellent spread-bore spacer that’s fully divided and contains its unique tapered-bore design. It’s a beautifully machined unit that noticeably improves engine output at all speeds. At 1 inch thick, it creates hood clearance issues with some Pontiac models, but it’s certainly one to consider if you have extra room. A carburetor spacer doesn’t have to be pretty to be functional. Homemade units, such as this one belonging to noted Pontiac racer Jim Hand, was carved from two pieces of wood that have been glued together and shaped with fuel-resistant epoxy. The divided primary and open secondary simulate the effects of two different spacers in one package. It’s worth 16 hp and 21 ft-lbs in a back-to-back dyno testing using a typical 455 producing 400 hp. Spacer thickness can range from .500 inch to as much as 2 inches, depending upon availability, and performance generally improves as thickness increases. I suggest using the thickest spacer possible so long as hood clearance allows. Expect the greatest gains with a spacer measuring at least 1 inch thick, but I recommend testing performance with spacers of various thicknesses to determine what your particular combination performs best with. It’s not uncommon to find an increase of 5 to 15 hp or more depending upon the application. Carburetor spacers are available from many sources. You can whittle your own from a piece of white pine wood or purchase readymade units constructed of laminated wood fiber, formed resin (phenolic), or aluminum for $20 to $100 from a mail-order supplier. In my opinion the best spacers available today are by Wilson Manifolds. Its tapered spacers further improve the transition from the carburetor into the plenum, enhancing performance. Wilson spacers sell for about $200, but I consider them money well spent! Modern production vehicles have been using electronic fuel injection (EFI) since the 1980s. It’s difficult to say if a fuel injection system provides additional full-throttle horsepower when compared to an appropriately sized and calibrated carburetor. The immediate fuel atomization and continual fuel mixture adjustments several times per second that EFI offers can improve engine efficiency at idle and low to moderate speeds on the street. The computer can also compensate for engine coolant and ambient air temperatures to provide smooth operation in all conditions. While the Pontiac V-8 was never originally equipped with EFI, several aftermarket companies offer complete EFIkits that install relatively easily, allowing hobbyists to retrofit it. 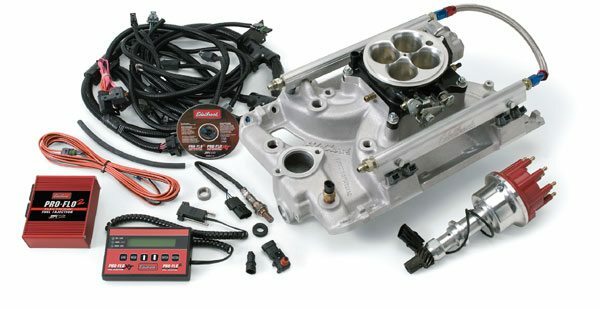 Some of the best EFI kits available today are produced by Edelbrock, F.A.S.T., Holley, and MSD. Each includes all the necessary components and wiring for complete installation, and the computer includes basic tuning for initial startup, and usually has the ability to adapt to the engine’s fuel requirements as miles accumulate. The Edelbrock EFI kit includes a Pontiac intake manifold designed to accept individual fuel injectors and high pressure fuel rails. The F.A.S.T. system is similar, but doesn’t include a manifold. (Edelbrock sells EFI-compatible manifolds to fit.) MSD’s Atomic EFI is slightly different. It uses a throttle body with self contained fuel injectors, and that makes it compatible with most aftermarket Pontiac intake manifolds that accept a square-bore carburetor. Expect to spend $2,500 or more for a complete EFI system. 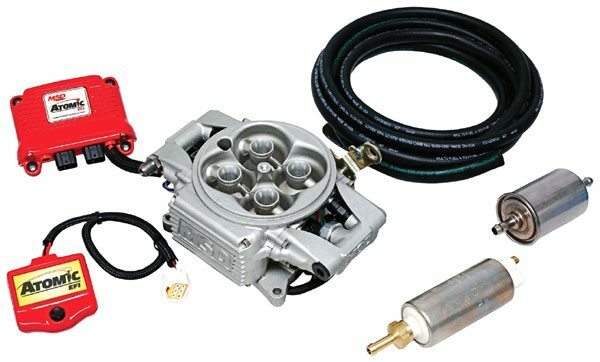 Generally speaking, a carburetor (whether original or aftermarket) is usually compatible with the stock fuel system, and it can provide strong full-throttle performance so long as the mechanical fuel pump can keep the fl oat bowl full at full throttle. The pressure and/or volume associated with the electric fuel pump typically required for EFI can be more than the rubber hoses and steel lines of the stock fuel system can handle. An EFI system generally requires complete fuel system modifications, and that can add to the cost. Forced induction consists of mechanically compressing the air flowing through the engine. Forcing air into the cylinders packs more of it into a cylinder than what could otherwise be drawn in by a naturally aspirated engine. The result is a denser, tighter compacted air/fuel mixture that’s more combustible and produces greater cylinder pressure upon ignition, yielding substantially greater performance. Superchargers and turbochargers are popular forced-induction compressors. Boost is the amount of air pressurized by the compressor, and it’s measured in pounds per square inch (psi). As the compressor moves a greater volume of air than an engine can consume, boost increases in the manifold. Too much boost can overstress gaskets and components, so a pressure relief (or blow-off) valve and/ or waste gate is used to limit it during normal operating conditions. A screw-type supercharger sits atop the engine and moves a much greater volume of air than a centrifugal supercharger, but it requires much more engine power to drive, and is a much larger package. It replaces the carburetor and intake manifold and requires some form of fuel injection. Screw-type superchargers are what professional Pontiac racers use most often for their competition engines. Generally speaking, a supercharger uses long, twisted gears (also called twin screw types) or a centrifugal impeller to draw in and compress air. It’s driven by a belt connected to the crankshaft snout and that allows the supercharger to delivers boost in a linear fashion that’s consistent with engine speed. Driving the compressor does, however, consume a specific amount of engine power. 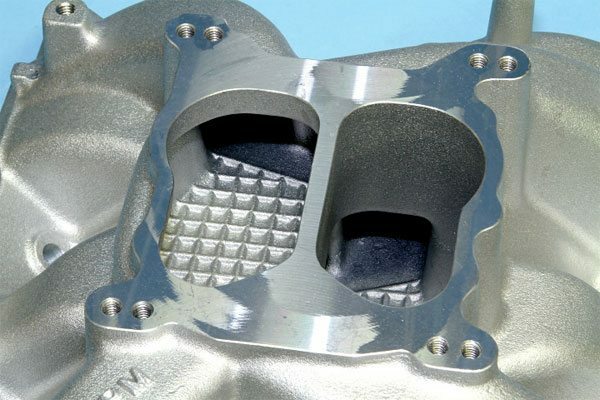 Centrifugal superchargers are generally more popular because they’re relatively small and efficient, and connect to the engine with brackets and tubes. ProCharger and Vortech are popular manufacturers. 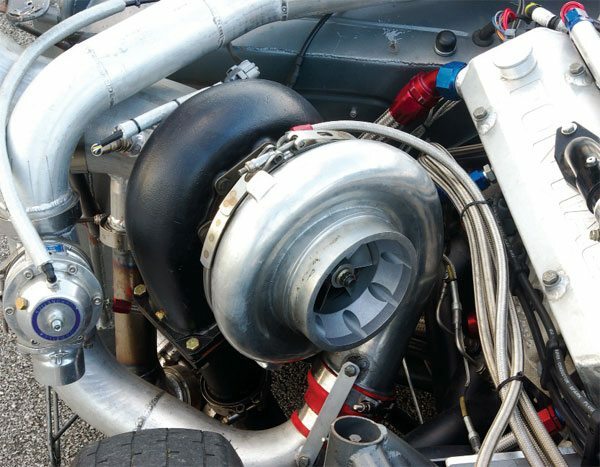 A turbocharger looks and acts much like a centrifugal supercharger, but it’s a bit more efficient as its impeller is driven by exhaust flow and not engine power. It operates at a higher temperature because of the exhaust stream, however, and that heat can transfer into the air that the engine consumes, negatively impacting performance. Turbochargers are generally cheaper than centrifugal superchargers, but the entire setup can be a bit more complex. 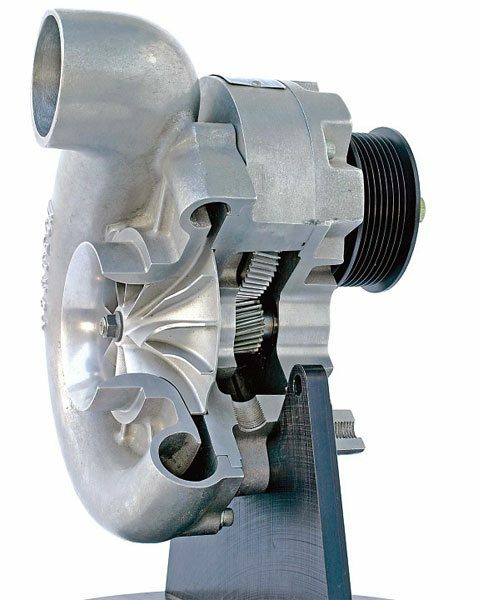 Garrett and Precision Turbo are popular turbocharger manufacturers. Superchargers and turbochargers come in a variety of sizes and flow capacities and which is best for you should be a decision you make with a professional engine builder. Any engine where forced induction will be used should be assembled accordingly, and a professional opinion can provide you with an idea of the components required and cost involved to reliably achieve your target power level.